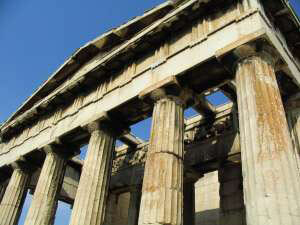 This is the most well-known historical site in Athens, and maybe of the Western World. Pericles is the famous Greek responsible for the transformation of the Acropolis into a city of temples during the fifth century BCE. 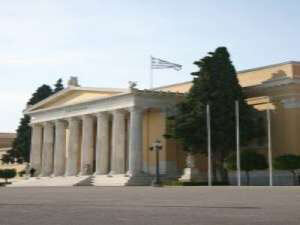 A stop here on your trip to Athens is a must, and the collection of temples and historical sites you will find here will surely not disappoint. 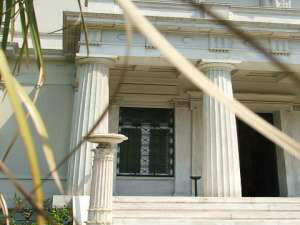 As you enter, you will walk through the Propylaea, the grand entrance of the Acropolis. Just south of this magnificent structure is the Temple of Athena Victory, which was built to commemorate the Greek victory against the Persians. We highly recommend that you attempt to visit the Acropolis later in the day, because it is known to get very crowded (and hot) during the late morning and early afternoon. 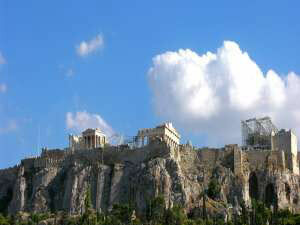 Whenever you visit, take the time to appreciate the stunning views of Athens from the top of the hill. 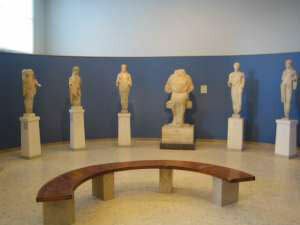 The remainder of this section includes information on the sights to be visited within the Acropolis. Your ticket to the Acropolis will cost 12 Euros, but will include free admission into the Parthenon, the Theater of Dionysos, the Odeion of Herodes Atticus, the Ancient Agora, the Roman Agora, Hadrian’s Library, and the Kerameikos Cemetery.